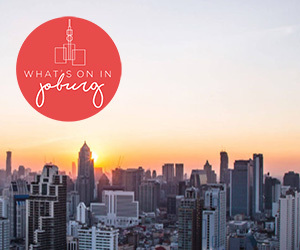 Cape Town’s first dedicated comedy venue, featuring South Africa’s most popular comedians as well as international comedians and fresh talent. Also a dinner venue, with patrons sharing tables. History: In the 90’s, The Pumphouse was a very popular live music venue hosting local bands. Interactive drumming sessions were also run at this venue in conjunction with the internationally renowned Drum Café. In 1990, David Kramer’s highly successful Dock Road Theatre hosted plays and musical productions to capacity houses until it closed its doors in 1995. 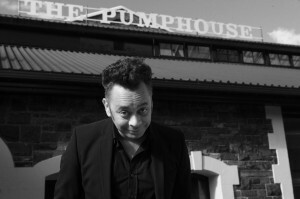 Now, The Pumphouse is home to Cape Town Comedy Club, the brain-child of comedian Kurt Schoonraad. People: Regular performers at the Cape Town Comedy Club include Stuart Taylor, Riaad Moosa, Nik Rabinowitz, Martin Evans, Tracy Klass, Mel Jones, Dalin Oliver, Martin Davis, Westley Cockrell, Marc Lottering, Conrad Koch / Chester Missing, Carl Weber, Rob van Vuuren and the cream of South African comedy. International comedians also headline on a regular basis. “Has taken Cape Town comedy by the balls.” Read our review of the opening of the Cape Town Comedy Club (then named Jou Ma Se Comedy Club). need a laugh.. this would be great! Pick me 🙂 I will laugh harder than anyone else! Good humour is a great stress reliever…I love to laugh and LOL . Love the comedy club…and now friends will get to experience it too! This is so needed. Just need a bit of a pick me up and would love to go and experience this with my friends. Pick me, me me me me please. Would be a great way to destress after a hectic few weeks. A man walks into the Cape Town Comedy Club with of his 3 friends and gets a bucket of Savanna ciders …………..
Love to #laugh with friends and enjoy #drinksavannah and have a great time at the #love thepumphouse #comedy # laughter is the best medicine!! Start with a smile and then just laughing. I like comedy and more. I would love to treat my husband and sons to a comedy night! Thank you for this chance to enter. Some laughter in our serious climate is so necessary ! Wow awesome prize! I definitely need a good laugh with a Savanna! Congratulations Astrid, you’re a winner! Please check your email for details. A good laugh with friends is definitely much needed, especially during these hectic times with our last lap with our thesis projects! I would love to make a return to the Cape Town Comedy Club since my first time attending a comedy show earlier this year. Its my birthday on the 24th!! I’d enjoy a night of great comedy. I certainly could do with some humour in my life!! There is nothing in the world so irresistibly contagious as laughter and good humour. Have an awesome day everyone. What an awesome experience this will be, a barrel of laughs for sure! A mid week evening with friends, a good meal and some belly laughs would be wonderful ???? A little laughter goes a long way . . . I really wanna go, never been !!!!!! Our best comediants!!! Wow, what a treat will this be. Let’s make it happen.